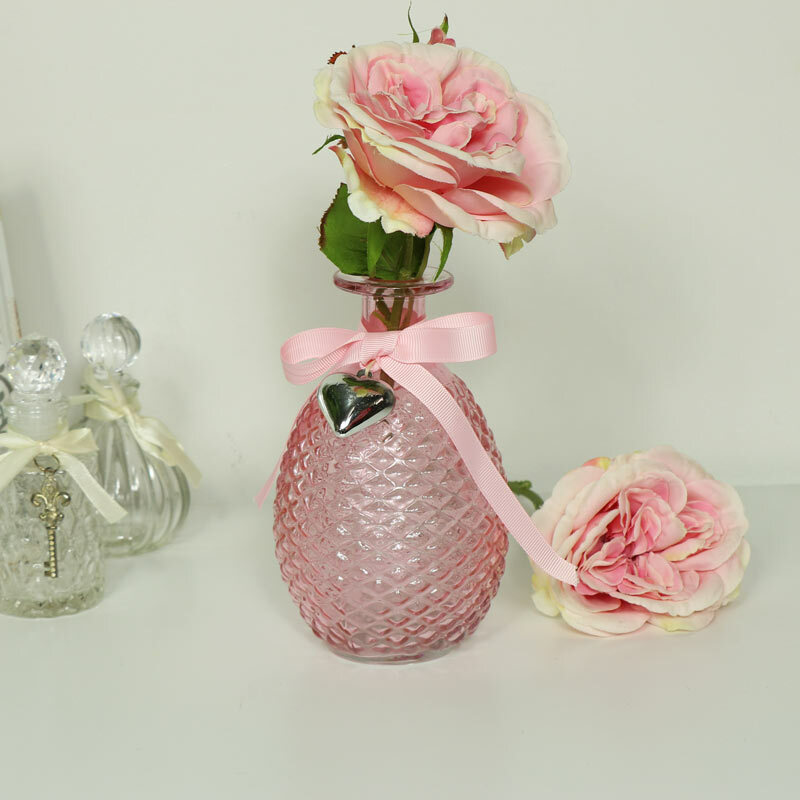 Add some vintage French glamour to your bedroom, boudoir or bathroom with this decorative pink glass bottle vase. 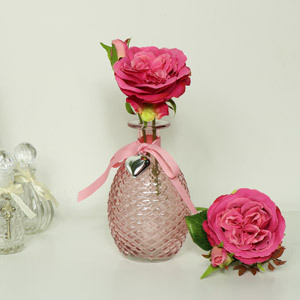 Perfect for decorative use or displaying flowers. 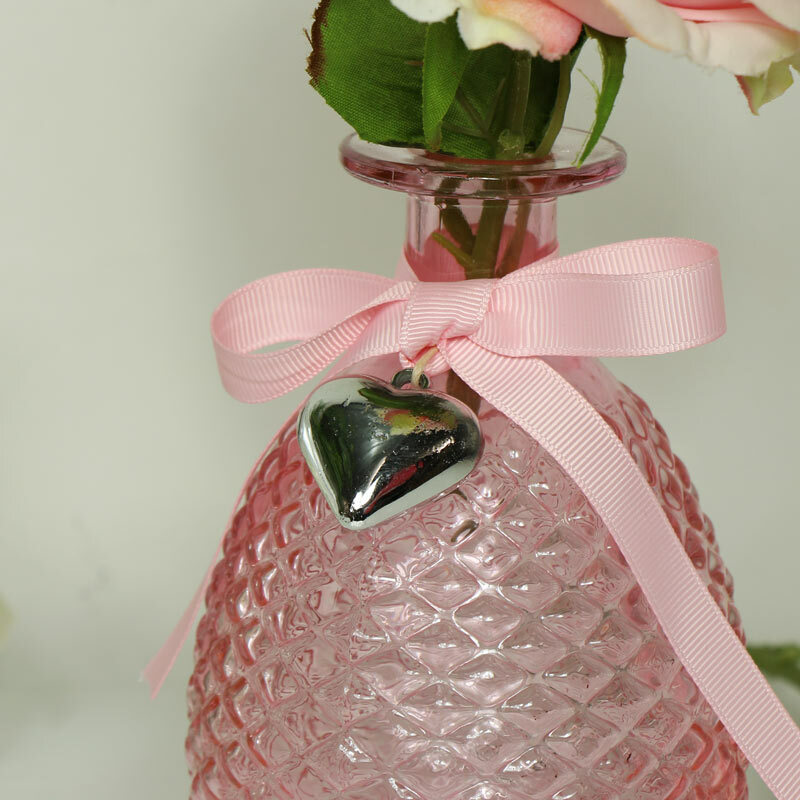 Coloured in a pale pink with diamond cut design and decorated around the neck with a silver heart motif hanging from a pink ribbon. 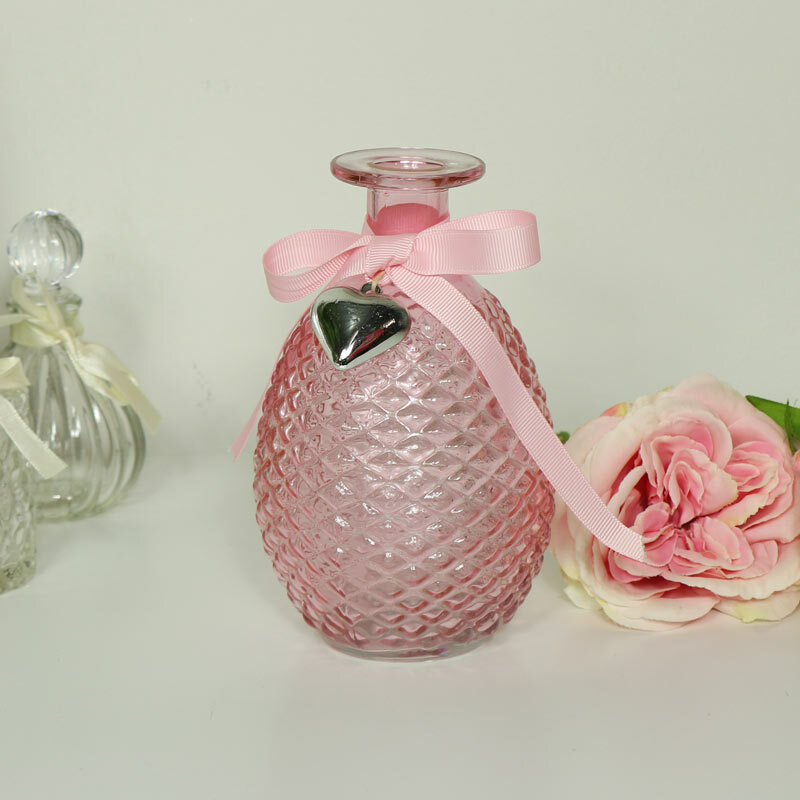 Made from pink coloured glass in a diamond cut design. Part of our extensive range of gifts and home accessories. We offer a great selection of gift ideas for friends and family.